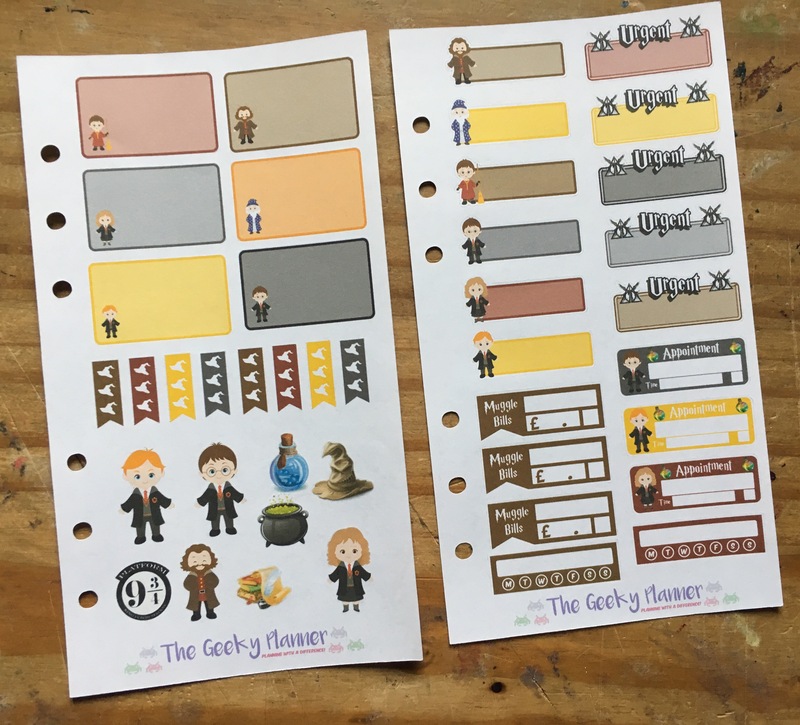 By now you guys should know that Lea from The Geeky Planner is a real life friend of mine, we often support each other’s businesses and are arranging the Pamper and Plan 2017 event together. 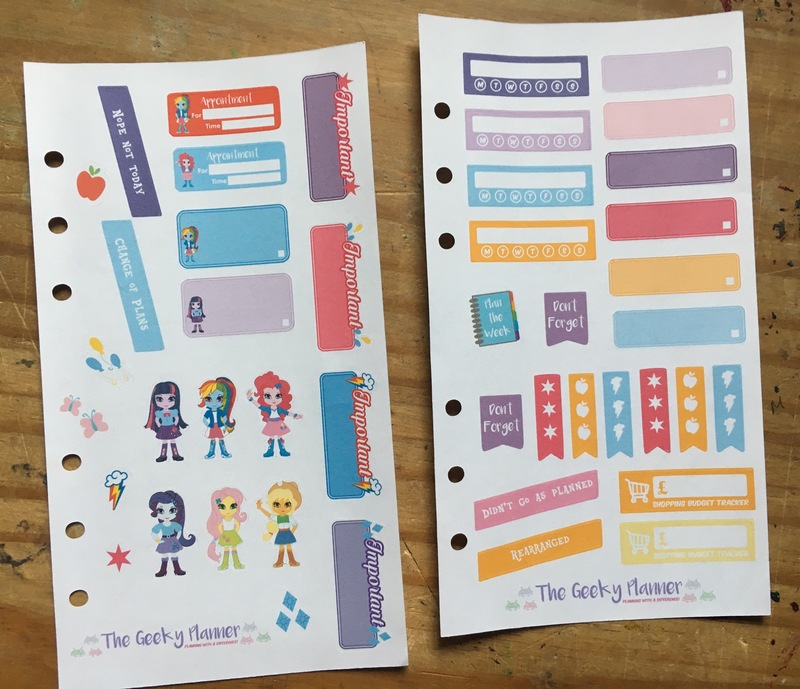 Due to that fact I will keep any posts like this purely factional and will not be reviewing (as I think all her stickers are awesome). 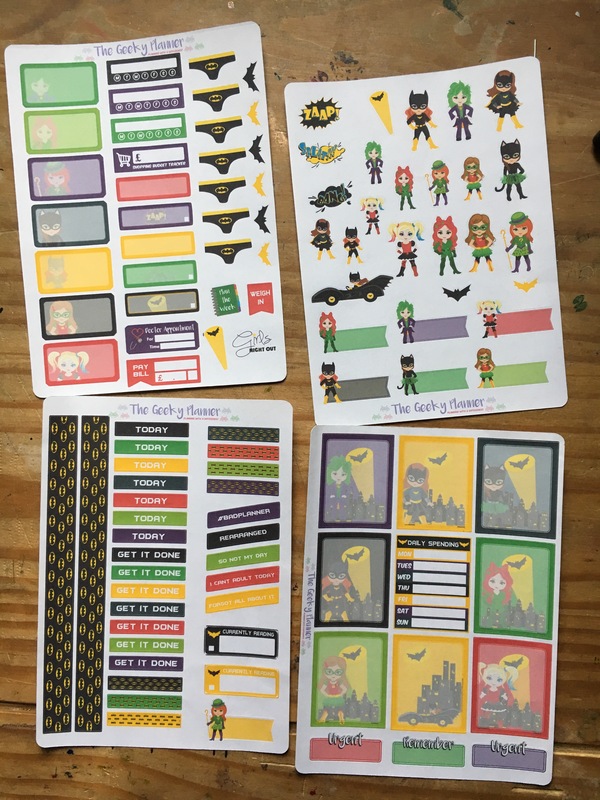 Last week lea posted (in her Facebook group) that she had a new “friendship” sticker kit and as soon as I see it I knew I needed it, so I purchased the ECLP kit from her etsy shop. 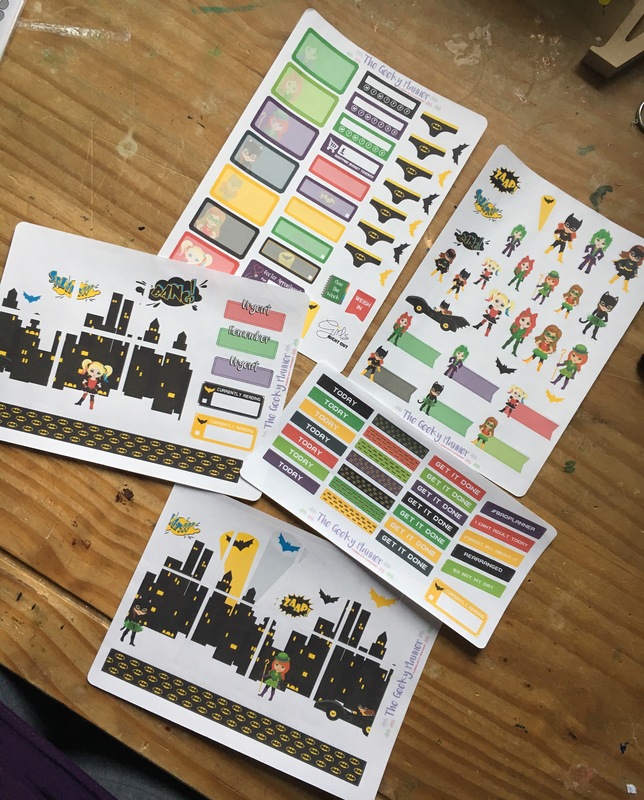 They arrived a few days later, which I filmed the unboxing for, and OMG I love them they are so fun and bright yet leave enough space on my page to plan in! 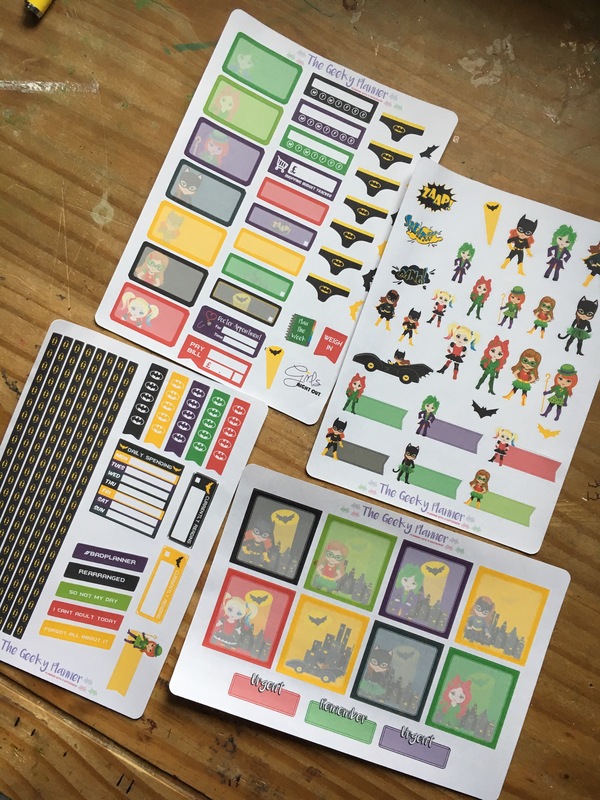 We had arranged a small meeting just to catch up and finish a bit of P&P admin, whilst there I swooned after her new female hero and villain set, she asked if I’d take a lot of each (erm yeah ok, arm twisted) and have a play with a few different layouts. Because I had already planned this blog and vlog I thought I’d use it as a chance to show case them to you. If you are the smallest bit geeky then this will make that geeky little heart sing!! I filmed the opening of these sets so that you can see them close up and exactly what is in each kit, to view that video please click HERE! 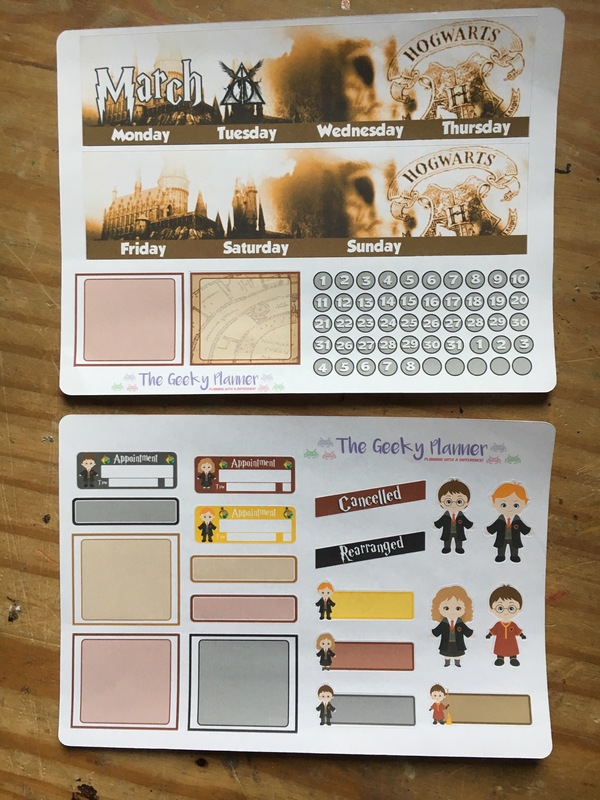 Above = The adorable Friendship Girls Personal planner kit is not yet listed but you can order the full kit with the link above. 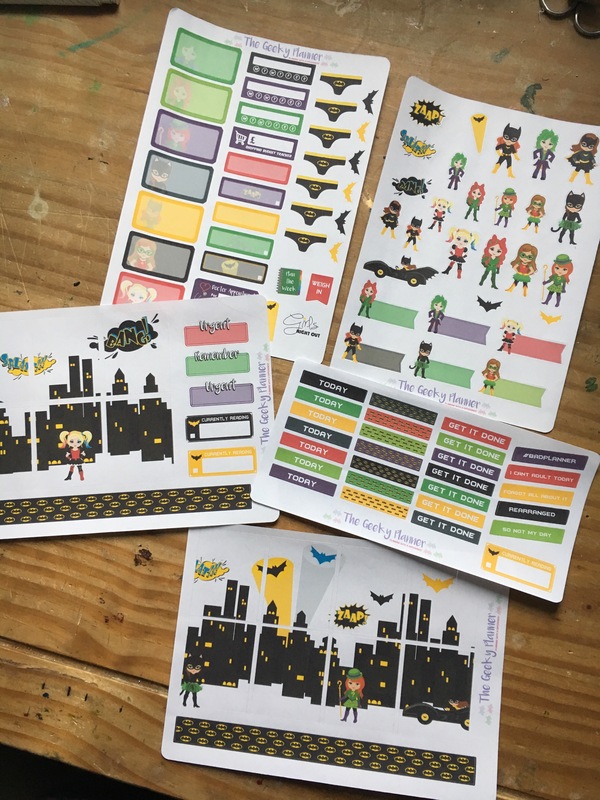 The personal kits are £3.00 which makes them £1.50 a sheet which is amazing. 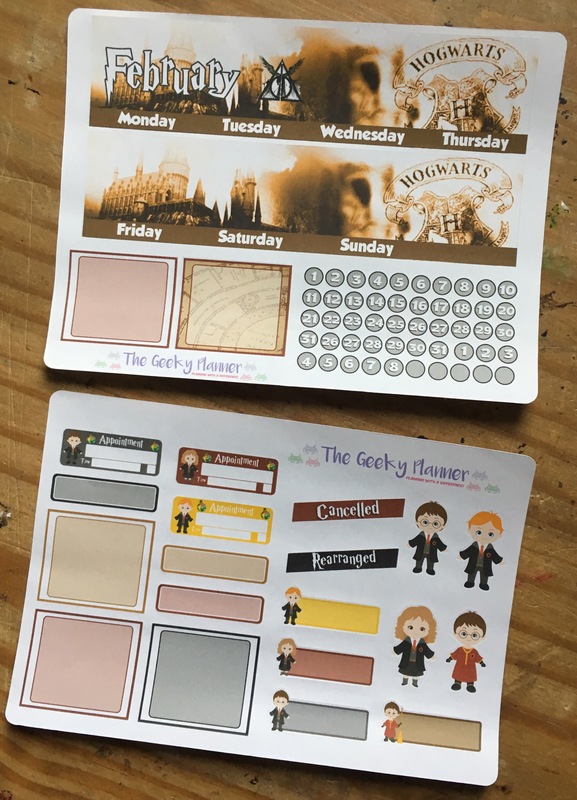 The Boy Wizard personal set above is available for £3.00 for the 2 sheets.